Starting a business is a worthy challenge. If you have done it, then give yourself a pat on the back, because you truly understand what it entails. If you haven’t yet, maybe it’s time to consider it? Nevertheless, once you head down this road, your blood will be pumping euphoria as your entrepreneur quest grows! If you are ready for this adrenaline challenge then let me tell you, that yes, there are those who have failed. Do not let their failures hinder your journey, instead use their errors to your advantage and look to the ones who have succeeded and learn from their victories! Here is a list #1 of the world’s top Entrepreneurs, Investors, and Business Owners which offer some helpful advice for good development in business and marketing. Entrepreneur Richard Branson defies conventional wisdom on success. 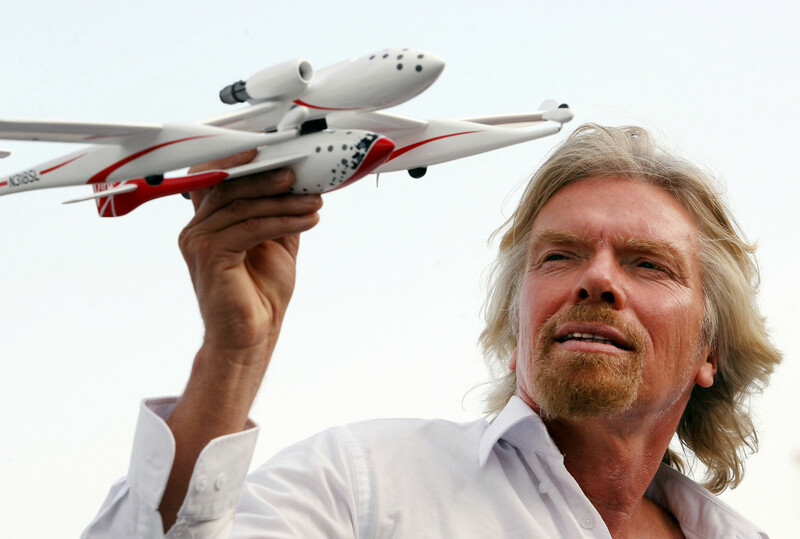 With Virgin Airlines – he started a thriving airline literally in an afternoon. With Virgin Cola – he took one of the most successful companies of all time head on and almost won. With Necker Island – he acquired the island first believing that the money to develop it would show up eventually, it did. A notorious adventurer, Branson is clearly, within reason, not afraid to live. In a Interview with Private Equity giant David Rubenstein, Warren Buffett discuses his life and investments. Dropping hints of wisdom along the way. Also, rather fitting that he sounds a bit like a Yoda Entrepreneur! Drawing from some of the most pivotal points in his life, Entrepreneur Steve Jobs, chief executive officer and co-founder of Apple Computer and of Pixar Animation Studios, urged graduates to pursue their dreams and see the opportunities in life’s setbacks — including death itself — at the university’s 114th Commencement on June 12, 2005. Video of Entrepreneur Bill Gates Speech at Harvard! The important lesson is know who you are, what you are good at and what you want to do. Success comes from so many variables outside of your control. Also if you concentrate it’s kinda like hearing Kermit the frog. The Truth About The About Us Page! Sometimes it is the things that are most obvious to us that do not receive the required attention and on far too many occasions, businesses fall into the trap of failing to create the correct About Us page on their website. Guerrilla Marketing – 3 Simple Tactics. Three simple guerrilla marketing tactics that you can implement tomorrow to gain grounds and marketshare! Use Psychological Tricks In Business to WIN! Its actually extremely simple, to deploy psychological tricks in business. Understand and embracing aspects of human conscious and unconscious to win! Classic Business Plan: A Fruitless Waste of Time & Effort? The business plan is commonly, and mistakenly, thought of as the Holy Grail or template for success. If you want to be an Entrepreneur or need positive reinforcement here is a list of the world’s top, some helpful advice on life, business and marketing! Running a startup is not all sunny days and clear skies. Hiring a Social Network Managers on a shoe-string budget might sound like paying for luxury. But that could not be further from the truth! The internet is a wonderful tool and social networking sites now provide an easy and cheap alternative to marketing and sales. But don’t fall into the trap! Don’t expect people to magically appear at your door with a fist full of money to give to you. The most basic aspect of being able to sustain a company is having enough capital to keep it afloat. One option is attracting investors!